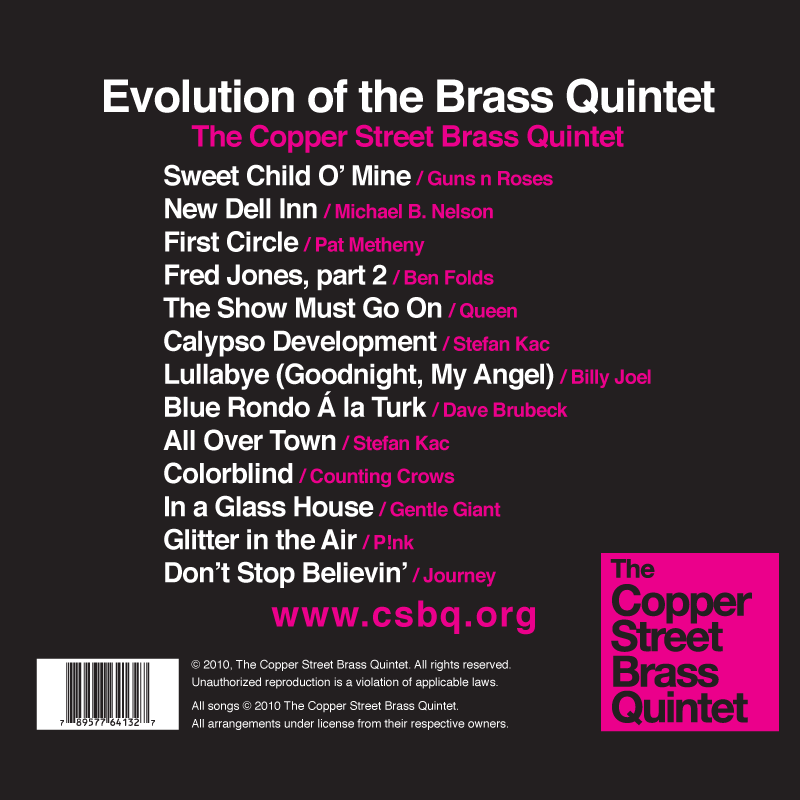 The CSB’s first full length recording. 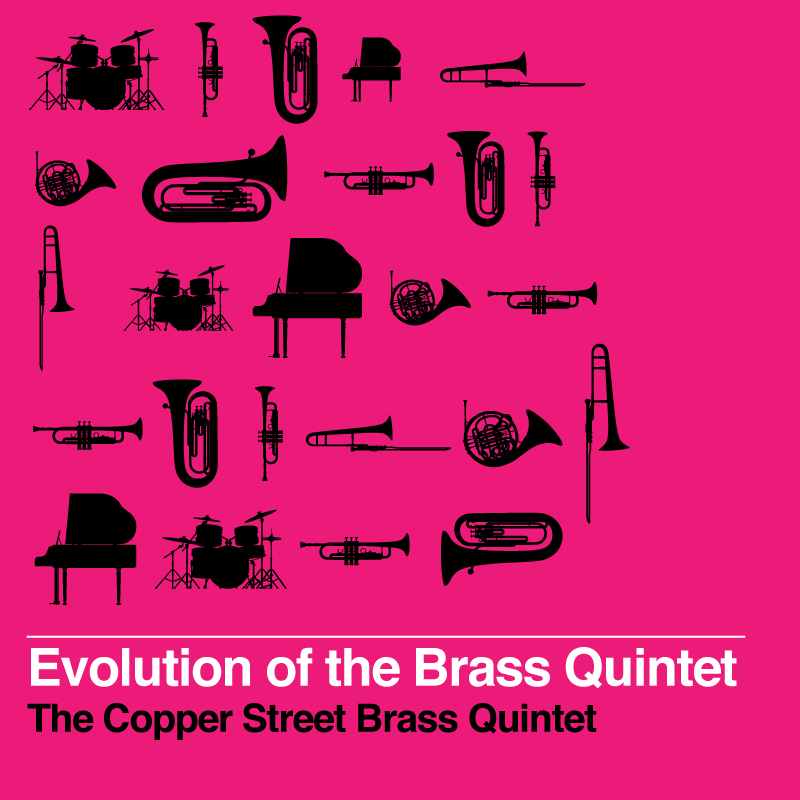 This is the beginning of the evolution where we blend rock, funk, jazz and pop showing you just how far the brass quintet can go! No matter how you prefer to purchase your music, we've got you covered! If you choose to purchase a "Download Card" we'll send you a unique code within a few business days that you'll use to download your music as MP3 files. From there it is up to you - import into iTunes, copy it to your phone or burn your own CD. All Arrangements (except "New Dell Inn") By The CSB. We are currently running all of our ecommerce through Square. This means you'll be directed to another window to complete your purchase through their secure online website. Can I purchase multiple items at the same time? Yes! After you add a piece to your cart on Square you can add more titles from there or return here and continue shopping. When you add additional items to your cart Square will open a new window with your updated cart and you can close the first window. We know it is a little clunky, and we appreciate your patience! After you complete your purchase through Square, you will get an email with your payment confirmation and an email from us with your unique download code and a link to where you can download your music. You'll put your code into the box then be able to download the tracks. They will download as MP3 files, and you can burn them to a CD, copy them to your device or import them into iTunes. After you complete your purchase through Square, you will get an email with your payment confirmation. We also get an email, and within 7 days (or sooner if we are able!) we will ship your CD or email you a download code. Make sure you check your junk mailbox if you don't hear from us. No problem! Just contact us directly!